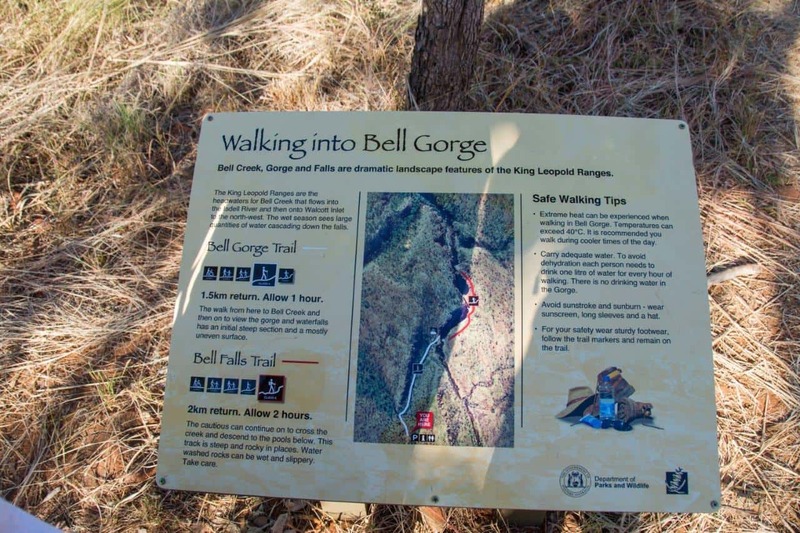 Why should you visit Bell Gorge and Silent Grove? 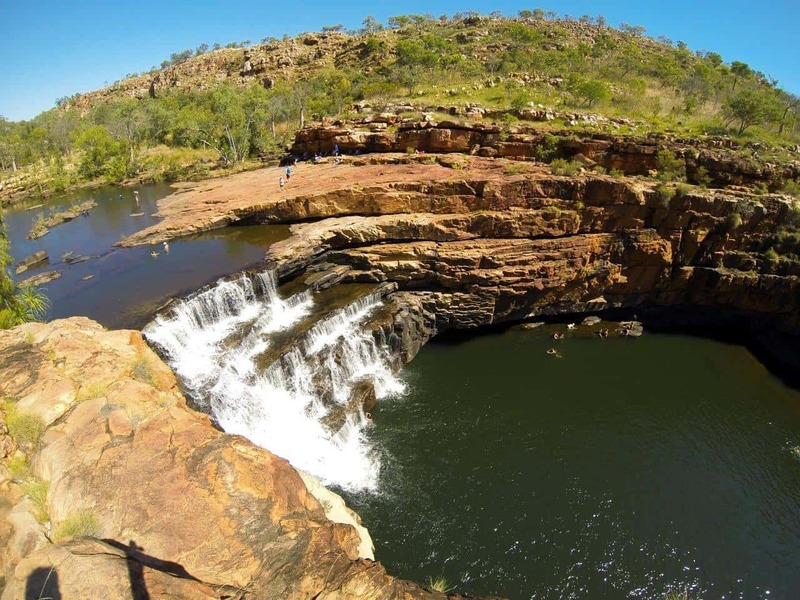 Bell Gorge is another incredible place to stop and explore along the Gibb River Road, in Western Australia. It’s one of the major attractions, and shouldn’t be missed. You can either visit for the day, or stay at Silent Grove Camp ground. 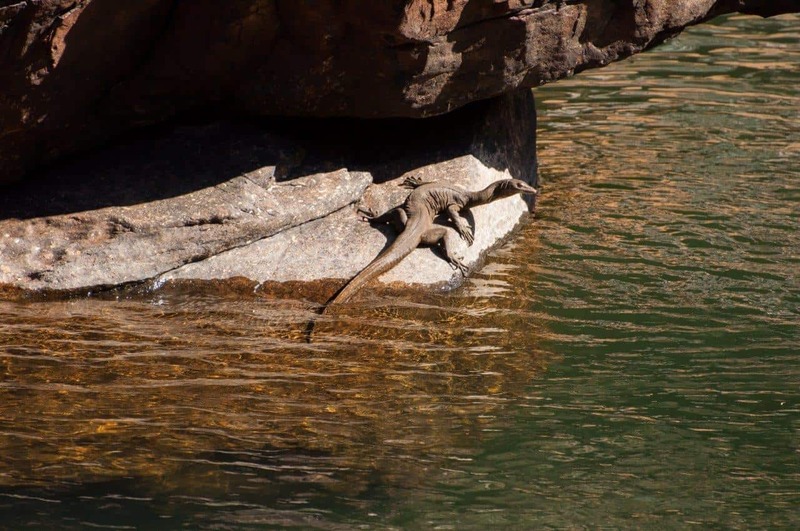 We absolutely loved our time at Bell Gorge on our 5 weeks in the Kimberley, and am sure you will too. 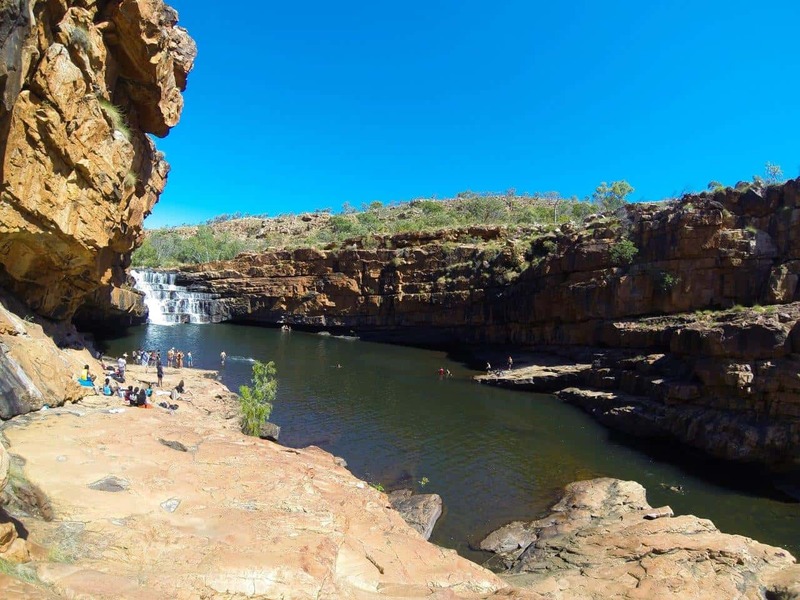 If you are looking for other amazing places, along with where to get fuel and water, where to camp, park passes required, itinerary suggestions and heaps more, check out the Ultimate guide to the Kimberley. Bell Gorge; who wouldn’t want to visit this?! 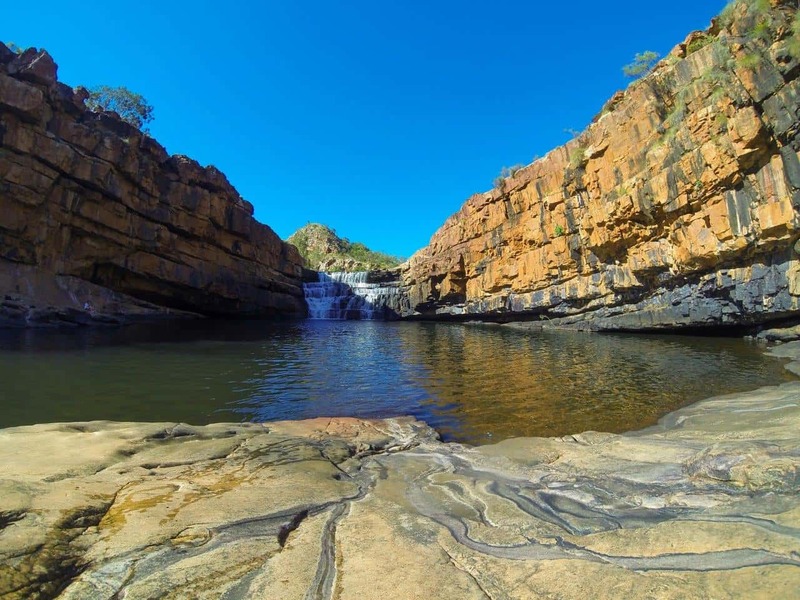 You’ll find Bell Gorge on the southern end of the Gibb River Road. 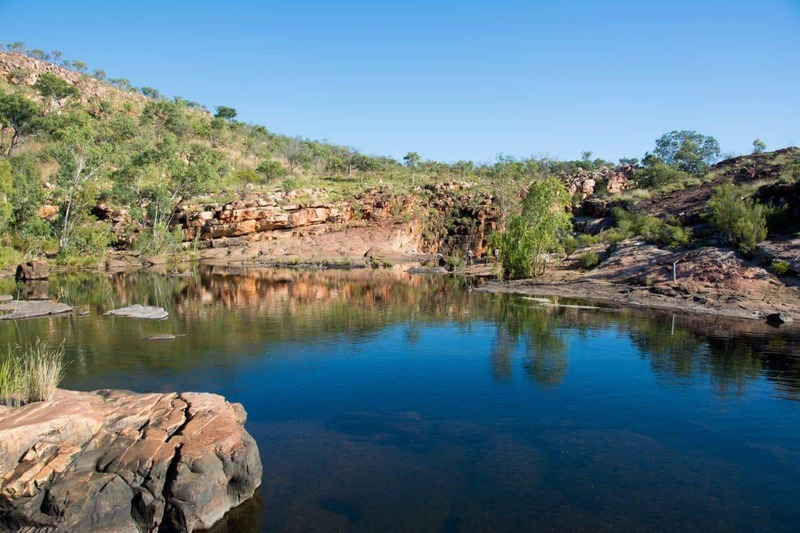 If you are heading from south to north, most people do Windjana and Tunnel Creek before moving onto Bell Gorge and Silent Grove. 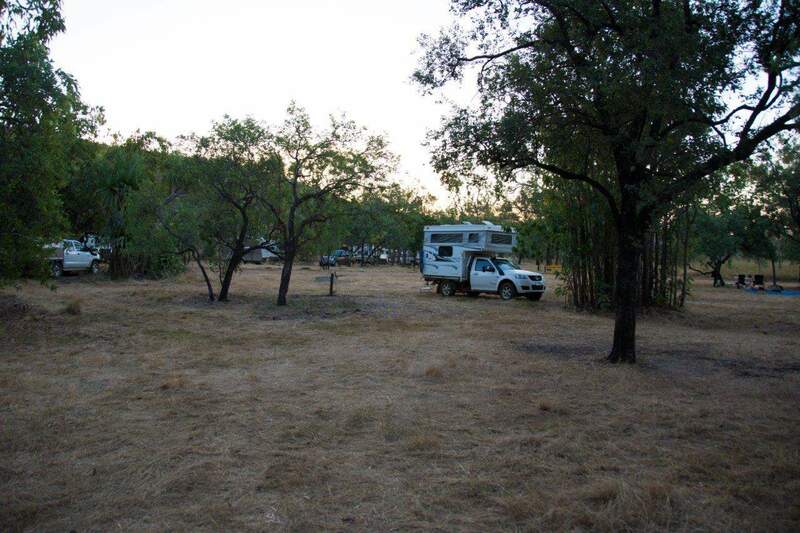 Silent Grove camp ground is roughly 19km off the Gibb River Road, and Bell Gorge is another 10km on top of that. The road in is pretty much the same as the rest of the Gibb River Road is. It can be corrugated and a little rough if it hasn’t been graded, but its usually in pretty good condition. We saw plenty of caravans being towed in and out; its all about running the right tyre pressures, having good quality tyres and driving to the conditions. I will mention that the 10km in between Silent Grove and Bell Gorge was full of sharp rocks about the size of a golf ball. We never had any punctures, but be extra careful. Your tyre pressures are critical for this sort of driving. There is a small creek crossing in between Silent Grove and Bell Gorge, but its nothing to be concerned about. It is relatively shallow, with a firm, rocky bottom. 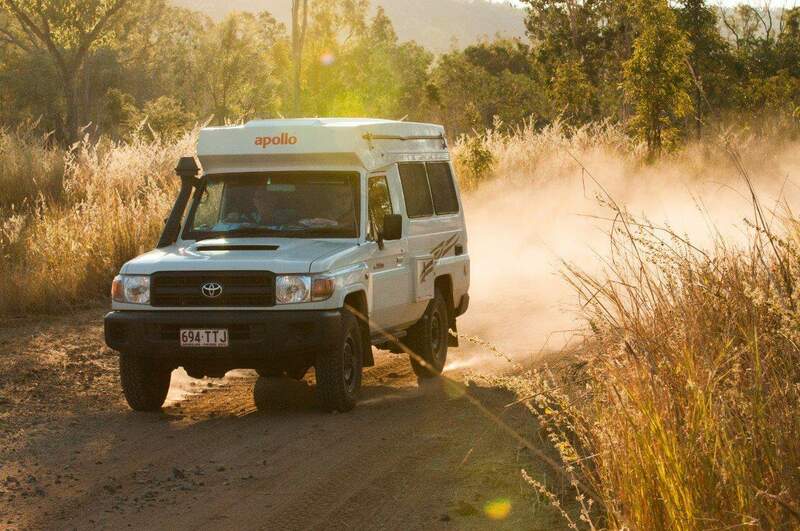 Make sure you have it in 4WD and low range, and just take it slowly and carefully across. 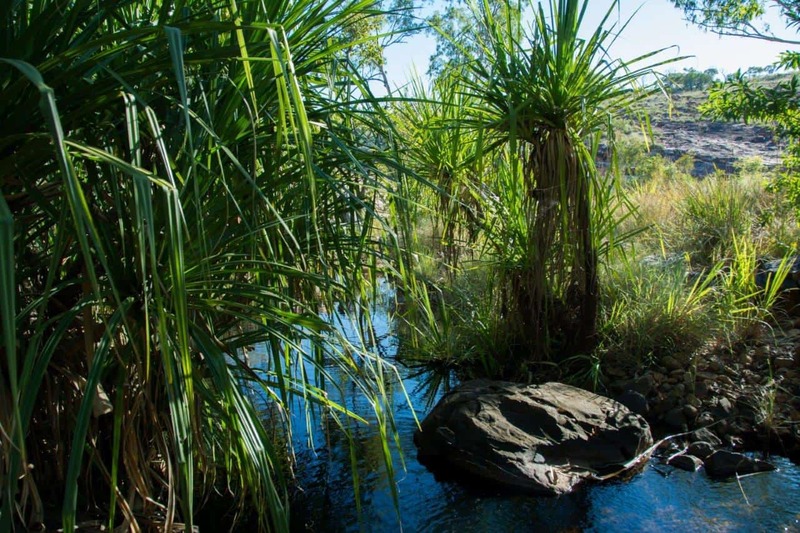 Like Windjana Gorge, Silent Grove is managed by the Department of Parks and Wildlife (DPAW). There is a ranger who lives at the camp ground in a home throughout the dry season, and they rotate around every couple of weeks. 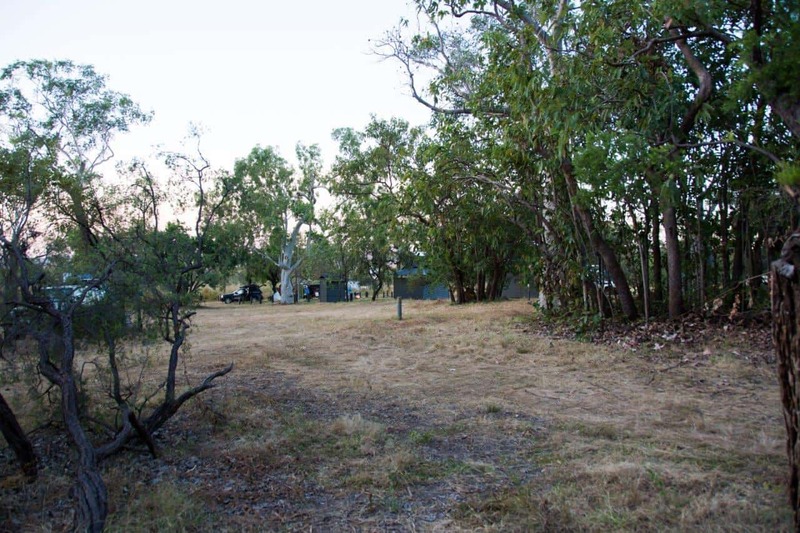 We both thought Silent Grove was a magic camp ground; its open, flat, has great facilities and plenty of room. Tree’s are relatively common for shade, but if its busy you may have a hard time getting near one. 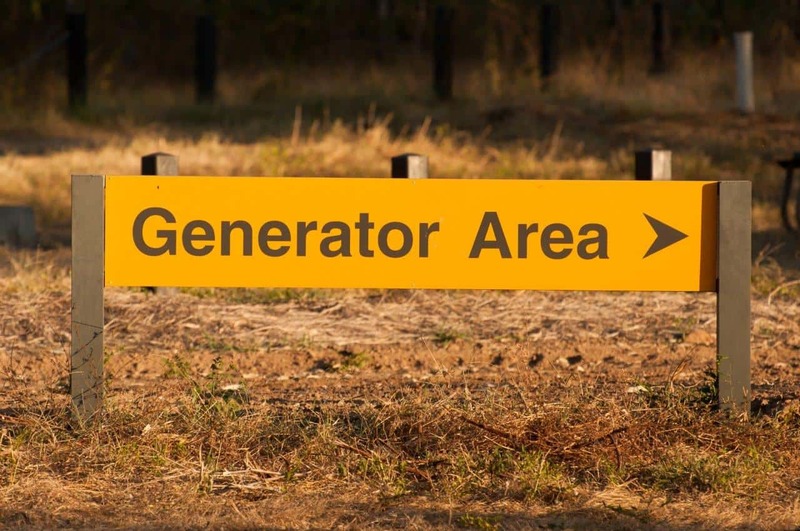 Want to run your generator? You have your own camp ground! Fire pits are spread throughout the camp ground, and sometimes need to be shared. Don’t be inconsiderate like one bloke we met, who parked his 4WD right next to a fire pit and then refused to let anyone else use it. Some people bank on cooking on fires, and if you hog one or stop people using it then you are a muppet. 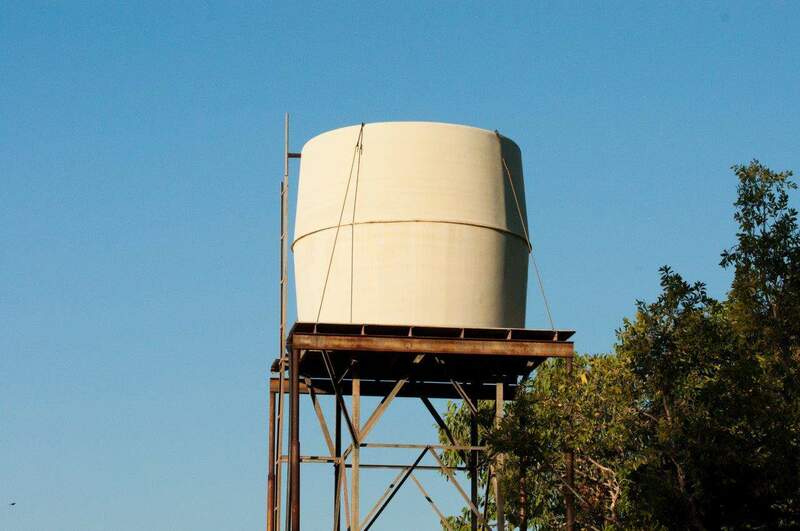 You can get running water at Silent Grove. 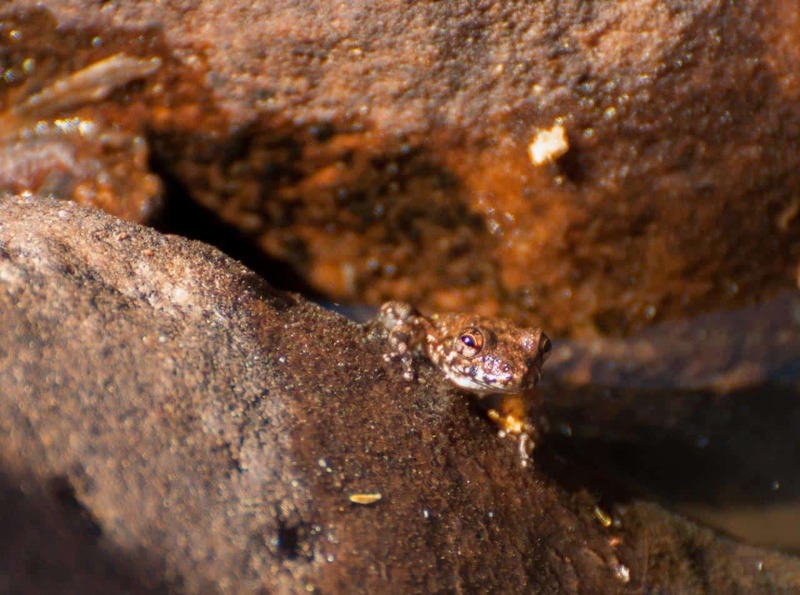 It comes straight from a little stream, and is stored in a water tank. We drank the water; its clear and tasted fantastic, but boil it if you are concerned about getting bugs. There are flushing toilets at Silent Grove, and solar showers. Don’t leave your showers too late in the day, or you may find they are cold! The shower curtains are a bit average, but in this part of the world any showers a good one. We spent 2 nights at Silent Grove, and felt it was about the right amount of time. We arrived around lunch time the first day, set up and went for a walk to the stream, just enjoying the atmosphere and having plenty of time before the crowds started coming in later in the day. The following day we got up early and walked to the Gorge, and headed back sometime after lunch for another relaxed afternoon. 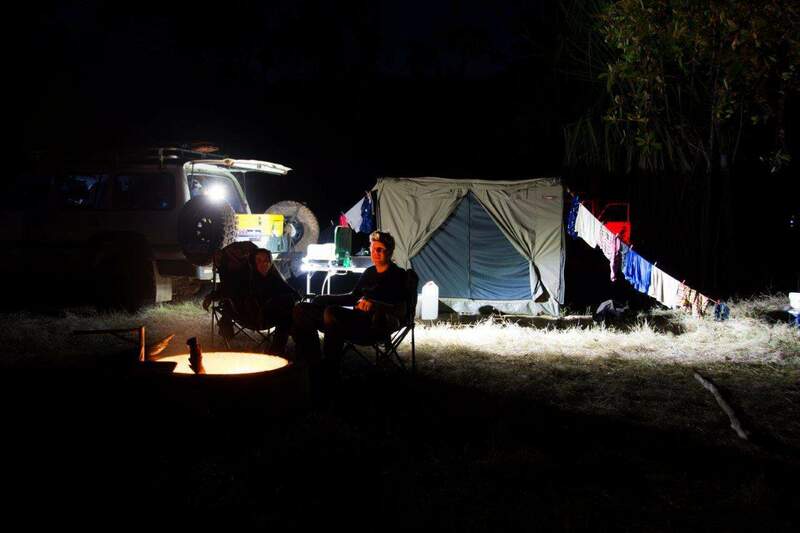 The next day we headed out reasonably early to Mornington Wilderness Camp. The walk to the top of Bell Gorge is quite straight forward. The sign says its 750m one way, and to allow 1 hour. There are lots of small rocks that you have to walk across, but the ground is relatively good with a couple of descents. From the top of Bell Gorge, the trail gets a bit more difficult, but certainly nothing even a family couldn’t do with young children. You need to cross the pools above the gorge, which are relatively shallow but require you to get wet feet (remove your boots!). After you’ve crossed the pools, there’s a small walk on a gradual incline before you have a reasonably steep section to walk down to get to the bottom of the gorge. Again, even children over 4 won’t have an issue doing it under their own steam, just take it easy. The whole walk (from the start to the bottom of the gorge) is 1km each way, and it suggests 2 hours. 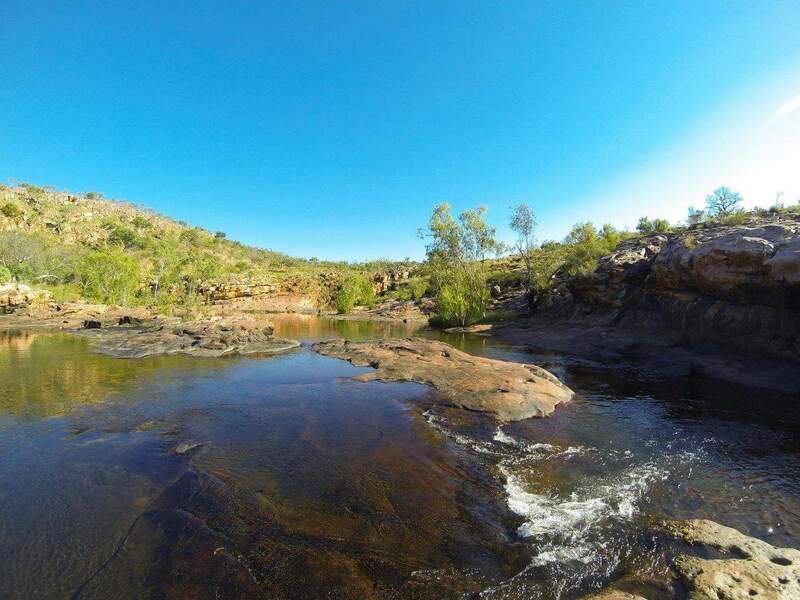 There’s nothing more refreshing than a swim at Bell Gorge. You can get in off several rocks at the bottom. Just be aware that the rocks are VERY slippery, and you want to enter and exit sitting on your bottom. If you try and walk in, you will probably end up on your bottom anyway, just you risk really hurting yourself. The water is cold, and deep. You can swim right up to the waterfall, but respect the fact that there are several thousand litres of water coming down every hour! I would recommend the short walk from the camp ground to Silent Grove Creek. This is where your drinking water comes from, and its pristine. Lets keep it that way; there’s strictly no swimming or washing of any kind. 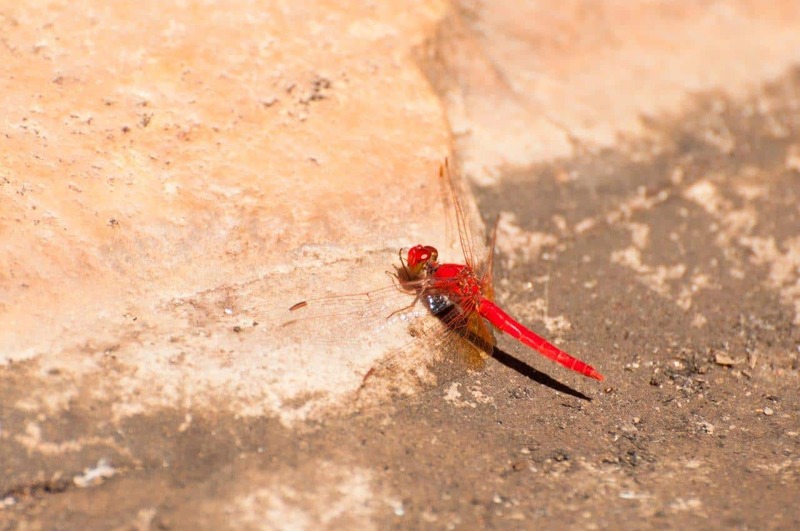 Sit on the rocks, look at the crystal clear water and appreciate the resource that thousands of people use every year. 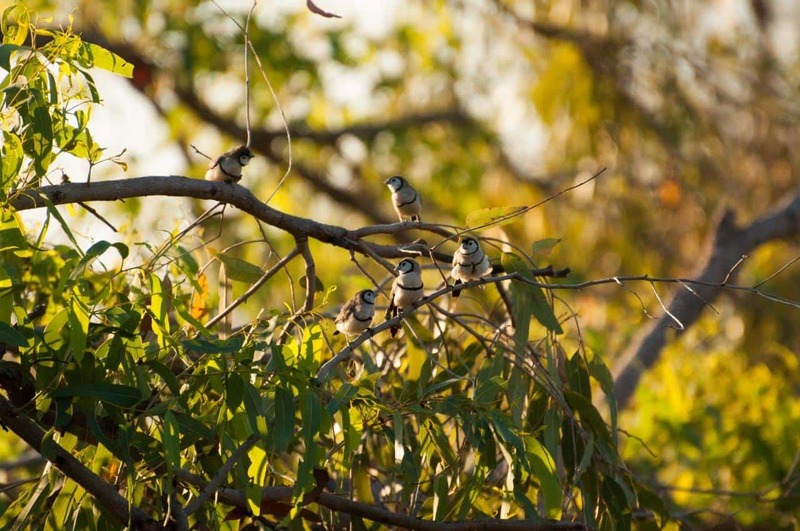 You’ll see some truly magic bird life at Bell Gorge and Silent Grove. 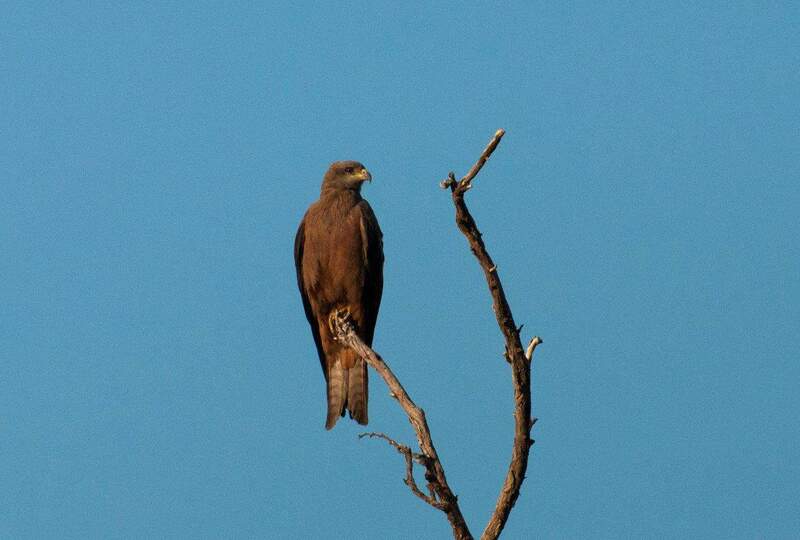 We saw eagles, rainbow bee eaters, little finches, parrots and everything in between. About an hour before the sunset seems to be the best time to go for a walk. Just walk around the skirts of the camp ground, and stand still in some of the quieter places. You’ll be amazed at what you see! The early bird gets the worm. No seriously, be the first to the gorge and you will thank yourself. We left not long after sun up, and were only just beaten by another couple (that’s you Ben and Michelle!). There’s something amazing about having the whole gorge to yourself for an hour or two, whilst everyone else drags themselves out of bed. You’ll see that by mid day the gorge is packed with people, and its no where near as nice. This applies to every place in the Kimberley, especially El Questro station, which can be insanely busy. 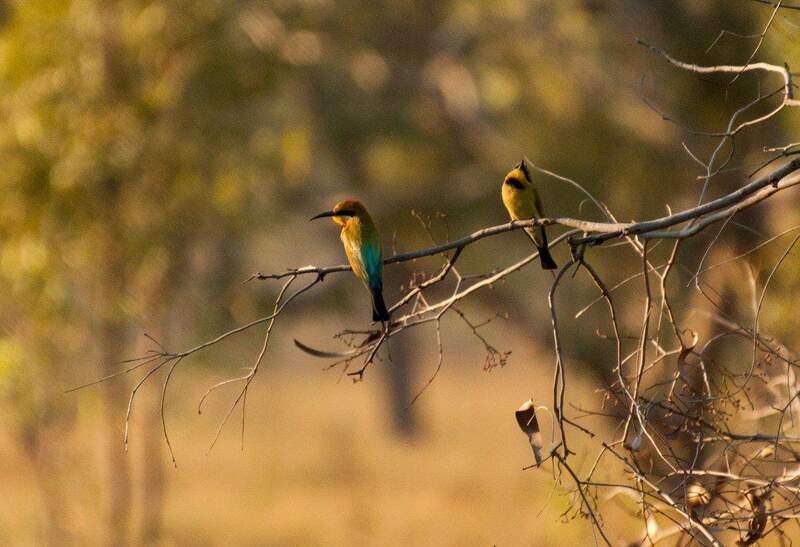 We saw some pretty incredible wildlife early in the morning that soon disappeared after everyone arrived. 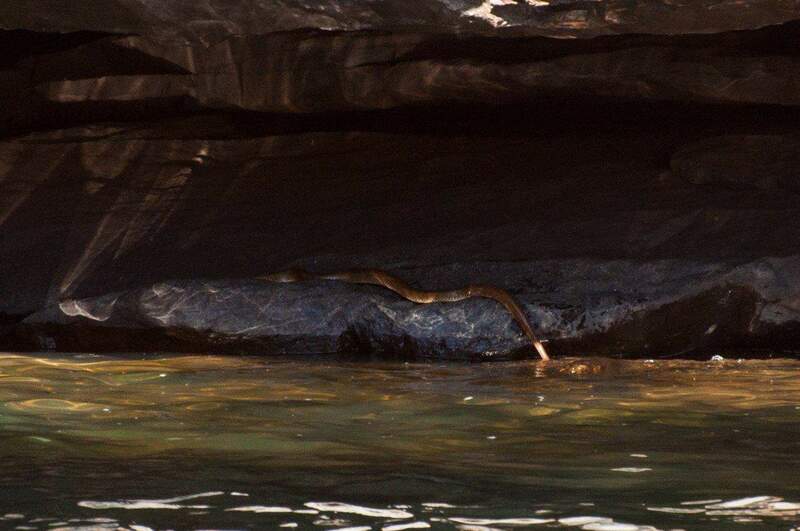 Check out the snake below, which swam to the waterfall and back onto the rocks! You are mad to head there just for a quick look and leave. We packed snacks and a lunch, and made a day of it. Set up on the rocks, relax and soak it up. We swam several times throughout the day, sunbathed on the warm rocks and enjoyed the area. You can easily spend a couple of hours above the falls too, swimming and enjoying the little pools. Its such a stunning place. We realised that you can actually climb down beyond the gorge quite a bit, which takes you away from the crowd. If you want a bit of seclusion and a nice place to swim, you can easily head further down. You will have to leave your gear somewhere though, unless its waterproof! Again, watch out for wet rocks that are very slippery and you’ll have a ball. Bell Gorge is stunning, but don’t be in such a rush to get there that you forget to appreciate the walk. 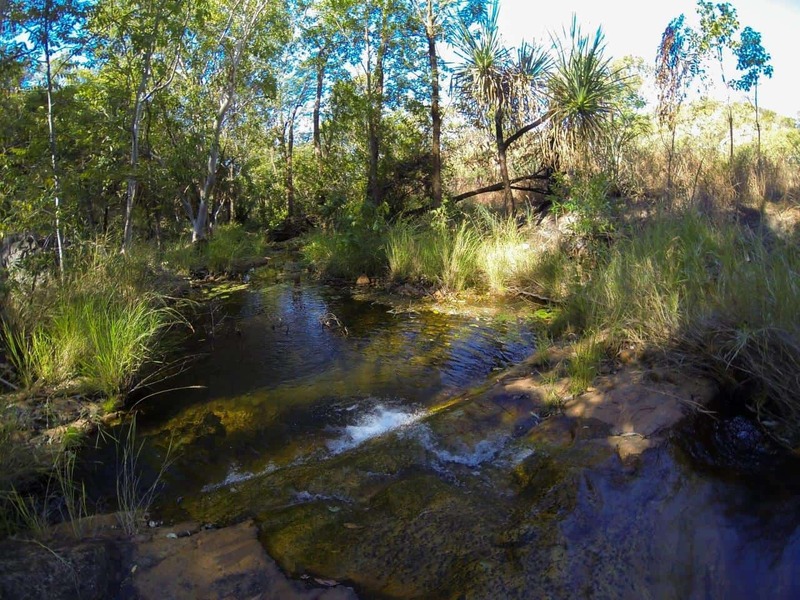 We loved the little creeks and pools on the way to and from Bell Gorge, and spent a fair bit of time sitting and watching them, as well as swimming and taking photos. My last little tip relates to those lovely green ants you’ll see at Silent Grove. They might look pretty, but they bite and really don’t like you. I made the mistake of parking our Land Cruiser under a tree that was infested with them, and did quite the dance while packing up as they bit me to pieces. The bites aren’t terrible, but they are annoying! Have you been to Bell Gorge and Silent Grove? If you’ve been to Bell Gorge, I’d love to hear from you. Did you like it? If you haven’t been yet, when’s the holiday booked?! That’s a well written write up, thanks for all the info and details. My partner and I only have a couple of weeks off and are looking at doing a short trip out that way, you’ve covered off a lot of details about the area that doesnt leave much about it to question now which is invaluable when trying to decide what to do on a quick trip so thanks very much! Ryan.